The Ployer MOMO7W, at 299 yuan. That’s about US$48. Read about it at IMP3Net [Google Translate]. This is a new price low. Earlier this week I saw two new Windows tablets at Best Buy. One eight-inch, the other seven-inch. Neither would power on. And the seven-inch one looked and felt like junk. This is probably junk too. And Windows on a seven-inch screen will probably make you want to gouge out your eyes. Note the recent thoughtful review of tablets at http://thewirecutter.com/reviews/best-android-tablet. Their current pick is the $300 16GB Nvidia Shield Tablet with the $400 Dell Venue 8 7000 as the next alternative. They think the Nexus 9’s doesn’t offer enough benefits over the Shield to justify an extra $100. Unfortunately, they do not mention the high end Samsung tablets, or the MiTab, the latter probably because it is not available in the US although it is probably a worthy alternative to the Shield. They think the Apple’s iPads are better but also more expensive. I found it interesting to learn that the Tegra K1 processor has both a 32-bit and a 64-bit variants. MiPad has 32-bit K1, Nexus 9 has 64-bit K1. 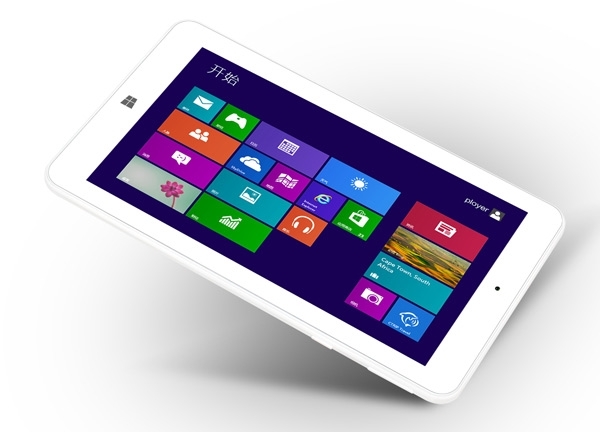 Pingback: Une tablette Windows 8 à 45€ ?